One day before the full D.C. Council considers lowering the city's voting age from 18 to 16, the main lawmaker behind the effort is expressing strong optimism that his bill will soon be law. 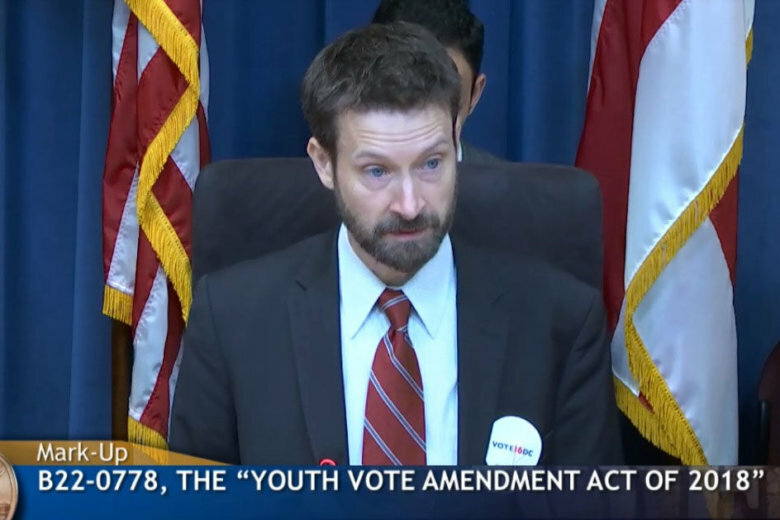 WASHINGTON — One day before the full D.C. Council considers lowering the city’s voting age from 18 to 16, the main lawmaker behind the effort is expressing strong optimism that his bill will soon be law. “I feel very confident heading into tomorrow,” said council member Charles Allen, who represents Ward 6. Allen needs at least six other members to join him in voting yes on the legislation when the council considers it Tuesday. There is a good chance that will happen, he said. “A majority of my council colleagues co-introduced it, meaning that they already put their name on the bill,” Allen said. Seven council members, including Allen, first introduced the measure in April. They include Anita Bonds, Vincent Gray, Brianne Nadeau, Trayon White, David Grosso and Robert White. If the measure passes Tuesday, a second and final vote would likely be set for early December. Earlier this month, the bill cleared the Committee on the Judiciary and Public Safety unanimously on a vote of 3-0. If the bill is ultimately passed by the council and signed by Mayor Muriel Bowser, the nation’s capital would become the first jurisdiction in the country to allow minors to vote in all elections, including presidential races. More than 10,000 16- and 17-year-old residents would be added to the voting rolls. Three Maryland communities — Takoma Park, Greenbelt and Hyattsville — previously lowered their voting age to 16 but only for local elections. Supporters claim young people vote at higher rates than adults when they are given the chance, and that teens who are allowed to vote are more likely to develop a lifelong habit of voting. Opponents argue that young people are not informed enough on the issues and are liable to simply vote however their parents vote.